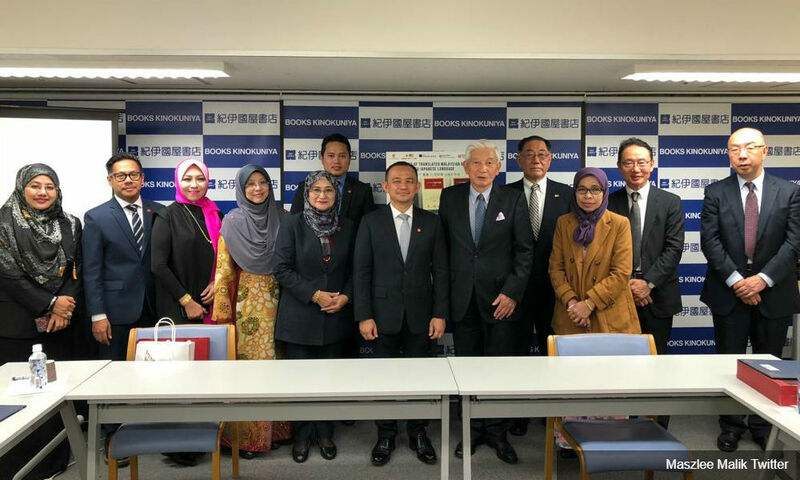 Education Minister Dr Maszlee Malik today launched five Malaysian books which have been translated into Japanese at an event at the Kinokuniya Shinjuku book store in Tokyo. In a statement issued today, the Education Ministry said the books were titled Islamic Finance Fundamentals With Applications in Malaysia, The Basics of Islamic Finance With Applications in Malaysia, Hang Tuah: Catatan Okinawa, Halal: All That You Need To Know and Beautiful Malaysia. Maszlee who is currently in Tokyo with Prime Minister Dr Mahathir Mohamad on a three-day visit to Japan said the launch of the five titles was the start of many more translation and publication works of Malaysian books into Japanese. “The translation and publication of books are important to foster bilateral ties between the two countries,” he said. He said this was in line with the National Reading Decade campaign by the Education Ministry and the KLBACA! campaign which will help transform Kuala Lumpur into the World Book Capital 2020. According to the statement, the effort was a joint-venture between the Malaysian Institute of Translation and Books (ITBM) and the Japan Malaysia Association (JMA) with the support of three public universities, namely Universiti Utara Malaysia (UUM), Universiti Putra Malaysia (UPM) and Universiti Malaysia Terengganu (UMT). Also present at the launch was president of Kinokuniya Co. Ltd., Masashi Takai and executive director of JMA, Takakazu Ogawa. The launch ceremony also included the signing ceremony of a memorandum of understanding between ITBM, JMA and Kinokuniya Japan to distribute ITBM and JMA books at selected Kinokuniya stores in Japan.